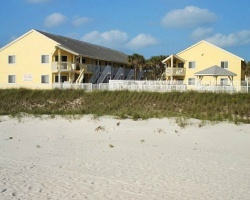 At *New Smyrna Waves*, you can enjoy the pleasures of beachfront living in near seclusion, yet have a wide variety of sporting and sight-seeing activities. 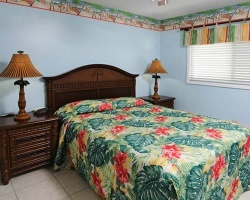 Spend hours soaking up the Florida sunshine on the beach or by the outdoor pool. Most water sports are available either at the resort or close by. 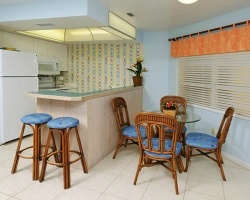 There are 1-, 2-, and 3-bedroom units with well-equipped kitchens, so you can grab a light snack before heading out to the beach, or try your hand at that recipe you always mean to prepare at home but never have time for. There are also many excellent restaurants from which to choose nearby. Lovely Ocean view, Ground Floor Unit! Easy access to the beach! Buyer may receive a title fee credit, inquire for details! Relax at the beach each year in week 6! Make this your new home away from home! Bring your friends and family! Make an offer today!